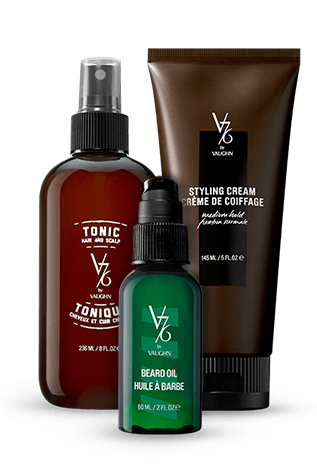 V76 by Vaughn celebrates the tradition of men’s grooming with an American sensibility. The sophisticated collection offers must-have classics updated for the modern man—and does so with an effortless, uncomplicated approach. In a culture where men turn to barbers to achieve the smoothest shave, or to a hairstylist for styling instead of just a cut, it was clear to sought-after men’s grooming expert Vaughn Acord that it was time to create a line that offers a range of men’s products tailored to their needs. Vaughn drew on his rich history of styling American icons—from Bruce Springsteen to Tom Brady to President Bill Clinton—to develop products that simplify the grooming process and help men look their best. for the hair, face, body and more. Thank you! You are subscribed.